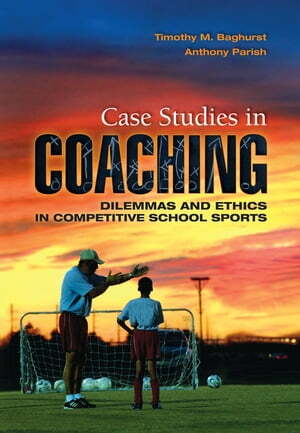 Collins Booksellers - Case Studies in Coaching by Timothy M Baghurst, 9781351818605. Buy this book online. The nearly two dozen case studies in this timely book will help future and current coaches of school sports develop successful strategies to avoid or overcome challenges and become more aware of the need to remain professional and consider the implications of their actions. Based on real-life situations, it considers ethical and practical dilemmas from sports in locations across the country. These compelling case studies illustrate everyday scenarios-such as teaching style conflicts, scheduling issues, cheating, confidentiality decisions, and working with over-involved parents-that occur in school coaching and athletics. The cases and thought-provoking discussion questions that follow allow readers to work through the types of dilemmas they will face in their coaching careers and then carefully formulate their responses and decisions. A resource list for each case allows readers to further explore the issues and develop their personal responses to each situation. An accompanying instructor's manual, available upon adoption, includes possible responses to all discussion questions.